Horn Plexi Table 1952 61.5cm approx. 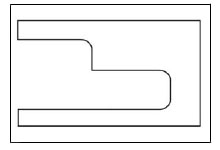 This Inset has no lip / rebate around the edge. Suitable for the Sew/Vision, 1052, 1092, 2022, 2042, 3012. Approx Size: 625 x 339mm.